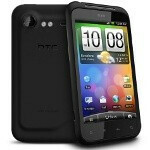 Welcome the HTC Incredible S - one of the three freshmen in HTC's Android lineup and probably the most important one. The Incredible S will be one the company's best this Spring, and has a 4-inch WVGA Super LCD screen, and a single-core 1GHz Qualcomm 8255 processor, along with 768MB of RAM. What makes it stand out is the fact that the labels of its capacitive buttons are not printed giving the impression of a buttonless device. The buttons also rotate with the screen adding to the overall Android experience. Design-wise the handset keeps the "Inside Out" angular curves of the original HTC DROID Incredible. It is hardly the lightest device however with a weight of 4.78 ounces (135.5 grams). On the rear there is an 8-megapixel camera equipped with dual LED flash and capable of 720p HD video, while the front holds a 1.3-megapixel camera. The phone will also have expandable memory with a microSD slot. The connectivity package is pretty standard: Wi-Fi b/g/n, Bluetooth 2.1 with A2DP and a standard microUSB slot. The Incredible S will be launched as a quad-band device with HSPA support (its bands match those of T-Mobile in the States). All of that means that you could do more, but it will require a reliable power source and that's why the handset packs a 1450mAh battery providing an estimated 580 minutes of talk time on a GSM network. When it comes to software, the Incredible S will ship with Android Froyo, but HTC promises to swiftly upgrade it to Android Gingerbread. 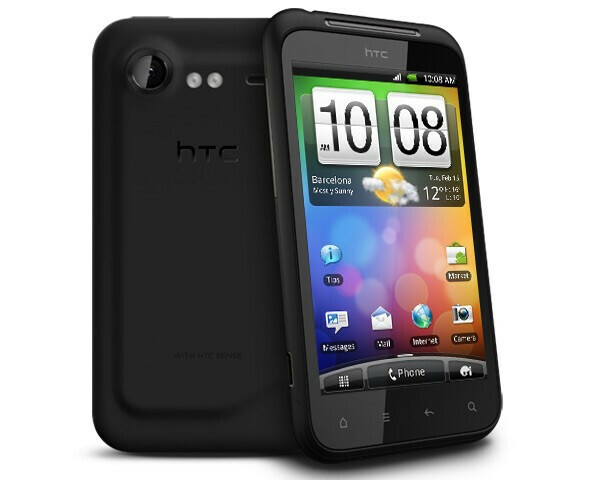 The HTC Incredible S will be available sometime during the second quarter of 2011. Stay tuned as we are in Barcelona and we'll update you with a hands-on video of the handset soon! It's just uglier version of Desire HD with the same specs, just new screen(SLCD). We have 2011 and these specs are old! Disappointing! Does Sprint have any phones coming out in Q1? aside from the front camera, what's the difference between this, the desire HD and the original incredible? All HTC phones look and sound the same now. This is a rather good improvement over the previous models, it has a front facing camera, better screen, larger screen, 1 ghz 2nd generation snap dragon, that being the best improvement over the 1st gen processor in the first incredible, and over the 800 mhz found in the desire and whatnot. The non printed buttons is a nice small change. All in all I think this is a good upgrade for my girlfriend who loves her incredible, and wants a very similar device just with a little bump. This is a good evolution of the Incredible - think Droid 2 Global vs. Droid. Not enough of an upgrade that Incredible owners will feel left in the dust, but enough for late adopters to hold out for this one. People see the clock speed and think that indicates lack of performance, but this is likely the same 1 Ghz Snapdragon 2 that powers the Thunderbolt. And let's not forget the big improvement here: BATTERY LIFE. And am I the only one who thinks there's a bumper on the front of the phone? Photos here and on cnet show a weird overhang by the speaker and front camera. Is HTC covering up Verizon-specific trim?